This year marks two decades since London-based Audio Partnership acquired the Cambridge Audio brand, and in those 20 years the company has moved on from the initial budget amplifier offerings under the new ownership to a wide-ranging product portfolio. As well as amplifiers and CD players, it has developed home cinema products – both Blu-ray players and AV receivers –, a high-quality range of digital-to-analogue converters, network streaming equipment and speakers. Of course, the original Cambridge Audio, which goes all the way back to the late 1960s, wasn’t a company known for its budget designs: it produced the world’s first two-box CD player, and also some very accomplished – if sometimes slightly temperamental – pre/power amplifier combinations. These days, having started by making very affordable amplifiers mainly for sale through Richer Sounds shops, Cambridge Audio is established across a wide swathe of the audio and home cinema markets. Its products are still sold in the UK through Richer Sounds, giving it the cost advantages of having a single company has both distributor and retailer , while its products are also available in getting on for 50 countries worldwide through more conventional distribution chains. 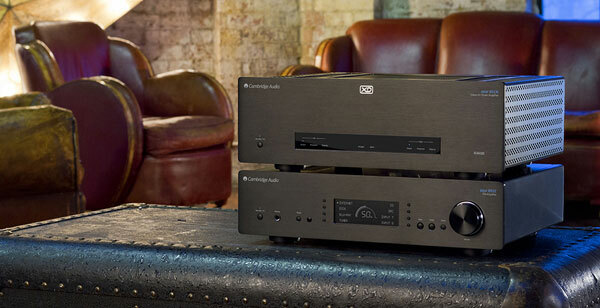 The Cambridge Audio formula is a familiar one: products are designed and engineered in the UK, at the company’s London headquarters, and manufactured under close supervision in China. Audio Partnership has more than 30 staff engaged in research and development in London, and an enviable reputation both for the design of its products and the very high standards to which they’re built. However, while the company’s amplifier products have been increasing in their ambition and performance in recent years, the Azur 851 series is a real leap into the highly competitive world of high-end audio – only without the massive prices so often associated with such products. Five models make up the range: the Azur 851 A integrated amplifier and 851C CD player/upsampling DAC/preamplifier have been around for a while, and have more recently been joined by the 851D digital-to-analogue converter/preamp, the purist all-analogue Azur 851E preamplifier, and the 851W, a massive, powerful stereo power amplifier. The last two products, selling for £1200 and £1500 respectively, are the subject of this review, simply because the Cambridge Audio products I have covered of late have been digital designs, and I thought it would be interesting to see what the company’s been up to in the analogue arena. The answer to that one is quite a lot: for some time now Cambridge Audio has been going its own way in amplifier design – this is no parts-bin-raiding operation, but designs its products from the ground up –, and the Azur 851 range is very much a showcase for what the company can do, both in terms of how the products are built and how they sound. The Azur 851E is by no means a hair-shirt preamplifier – none of that ‘source selector, volume control and that’s it’ thinking here – , with three stereo inputs on a choice of balanced XLRs or conventional RCA phono inputs, four more sets of RCA phono inputs and a record in/out loop. Outputs are on both balanced XLRs and phonos, and there’s a separate subwoofer output, able to deliver either a full-range signal or first pass it through a 200Hz low-pass filter. Tone controls are provided, and are of a shelving type, able to deliver a maximum 10db of boost or cut at 10Hz in the case of the bass control, or +/-7.5dB at 20kHz on the treble, with a ‘direct’ button to bypass them for the cleanest possible signal path. It’s possible to program each input to have the tone controls either active or bypassed. However, the 851E goes further than that: it’s possible to re-label each input to reflect the source connected to it, adjust input trim to normalise levels between sources, and set any input as ‘Fixed Volume’/unity gain, making it easier to integrate the 851E with the preamp output of an AV receiver, for example. In addition the preamp has a headphone output, and a variety of connections – infrared, 12v trigger, RS232 and Control Bus – to enable it to be integrated into custom installations: menu settings allow the user to adjust how the preamp controls other Cambridge Audio components to which it’s connected using the Control Bus. The 851 E is built on an acoustically damped metal chassis, and uses a generous toroidal transformer and Cambridge Audio’s proprietary Terrapin impedance buffering modules, designed by the company for use in low-level gain stages in place of the more commonly used ‘off the shelf’ op-amps. Why Terrapin? The name comes from the fact the modules connect to the circuitboard using ten pins. Completing the specification is a high-precision digitally-controlled analogue volume control, designed to retain signal purity and channel-matching even at low levels, and able to double as a balance control at a push of the ‘mode’ button, and a system remote handset. Just as the preamplifier is claimed to set new standards of signal purity, with vanishly low levels of distortion from input to output, so Cambridge Audio says the 851W power amplifier – tipping the scales at just over 19kg – is the best sounding amplifier it has ever made. It uses the company’s proprietary Class X D working, designed to combine the benefits of Class AB when it comes to power delivery and the purity of Class A: in effect, the amplifier works in both Class A and Class AB, dynamically adjusting the crossover point between the two depending on the output volume. Again the Terrapin modules are used, along with 12 output transistors per channel and separate transformers for audio output and input/control, and the amplifier is capable of delivering 200W per channel, or can be bridged into a monobloc amp delivering 500W. Or you can set it so a single input feeds both outputs with the same signal, thus creating an amplifier for biamping a suitable speakers – as with the monobloc set-up, that means you’re going to need a second 851W – , while loop-through connections offer an alternative way of biamping a pair of speakers with two 851W. Or even triamping, should you speakers allow this and you fancy buying three of the power amps! There’s a smart auto-standby system to turn off the amplifier when it’s not receiving signal, Control Bus connections to allow the 851W (or several 851Ws) to be switched on and off remotely by the 851E, switches to select balanced or unbalanced input and those bridged/normal and mono/stereo operating modes, plus a range of control inputs and outputs. Both components feature the company’s comprehensive CAP5 protection against DC spikes, overheating, short circuits or clipping. Apart from shifting the sheer mass of the 851W from its box and into position, there’s precious little effort and drama involved in setting up these amplifiers. The 851E slotted into my rack in place of my usual amplification, with the 851W standing on a low amplifier table between the speakers. Connections were the excellent Chord Company XLR interconnects I have used in the past, with source and speaker cabling from the same company. All that done, there was none of that dimming of the lights, ‘now the storm is at its height, Igor’ stuff, even when powering up the 851W: the amp just flashed its protection indicators while stabilising and checking itself for faults, then lifted its muting and was ready to go. The samples I received had already been used a bit, and were left plugged in and switched on for a fee days between delivery and reviewing, but even given these advantages I really wasn’t ready for the sound on offer when I started playing some music through them. The 851E/W sounds massively powerful, entirely uncoloured, and seemingly capable of delivering as much fine detail as a recording has to give, while at the same time keeping its massive reserves of power ready for instant deployment should they be needed. Simply, this is one of the most transparent, thrilling and richly rewarding amplifier combinations I have encountered, with fine grip on the speakers with which it’s used, vast amounts of information delivered and never even the slightest sense of the music being held back or sold short. 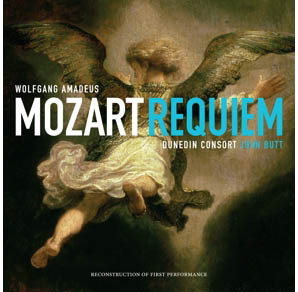 All of which is quite a long way of saying that I set up the Cambridge Audio amplifiers, selected the recent Dunedin Consort Mozart Requiem (on Linn Records) on my Naim network music player and almost immediately said something along the lines of ‘Oh gosh’ (but actually rather more forceful). This is an amplifier able to amaze straight from the off with the sheer ambience and presence it can deliver from a fine recording played on a good source component, and then go on to delight and enchant to an ever-growing degree the more you listen to it. Dynamics are powerful, crisp and entirely un-hi-fi; instruments have a generous sense of timbre that’s anything but mechanical; and voices are both crystal clear and beguiling (if that’s how the recording is) while delivering that goosebump-inducing ‘performer in the room’ impression. The more you listen to this amplifier, the more two things happen: first, you stop listening to the electronics and pay full attention to music; and second, freed from the distractions of hearing the effect the hi-fi is having on the sound, you become ever more involved with the emotion and expression of composition and performances. The effortless power plays a major part in this exciting, involving sound, but the purity of the preamplifier, and the rich clarity of the power amplifier even when playing at lowish levels, play a part in allowing the combination to get out of the way of the music and communicate it extremely directly. And when power is needed? Well, the amplifier just delivers, maintaining that clean, ordered presentation is which notes attack with real bite and decay just as they should, and in which there’s never any suggestion of congestion or limits being reached, however loud and/or complex a recording becomes. This is an amplifier that demands attention, demands that you get comfortable in your chair, close your eyes and immerse yourself in the music; yes, its clarity, pace and control ensures excellent intelligibility even when it’s playing in the background or heard from another room for a moment or two, but it always has that seductive ‘come closer and listen’ appeal, likely to have you abandoning whatever you thought you could do at the same time in order to concentrate fully on what’s being played. Which is, of course, exactly as it should be. Oh, and of course the Cambridge pairing can rock out when required, too, by combining that massive power with its almost-surgical precision to bring out the sting of percussion, the thunder of bass and drums and every snarl, howl or chord-shift. Instruments sound spine-tingling without ever being over-forced – if one can ever really use the terms ‘natural’ or ‘realistic’ to describe the modern rock, pop, or dance track. And of course if you do get silly, there are those multiple layers of protection, designed to be effective without impinging on the sound, to protect the amplifiers and your speakers. There will be those out there for whom the Cambridge Audio brand still has overtones of inexpensive, slightly quirky amplifiers bought when one couldn’t quite stretch to the big brands; those who’d never set foot in a Richer Sounds shop unless it was to buy a TV (yes, things have changed from the ‘we only sell hi-fi’ days! ); and those who are probably still trembling slightly apoplectically since I mentioned that these amplifiers are made in China. All those prejudices are unfounded, as the 851E and 851W are more than capable of demonstrating: able to hold their own with some of the very best amplification available at any price, they’re truly world-class components wrapped up in name without the high-end cachet of some ‘audiophile’ brands, both European and American. As a statement of what Cambridge Audio’s combination of design, engineering and manufacture can achieve, this preamplifier and power amp are mighty impressive; as a demonstration of what you can buy for a fraction of the price of some of those ‘mentioned only in hushed whisper’ amplification components out there, they’re quite remarkable. Get an audition, whether you’re in the market for amplification at this level, or simply feel a need to have your preconceptions rearranged. Can u tell me why?what were you impressed with in the end? Have tried many amplifiers at home incl overated Devialet D-Premier, Goldmund Job 225, Arcam P49 many unlistenable Class D amps and still prefer my 20 year old class AB Prime Design A100 integrated amplifier, 110 wpc 8 ohms 200 4 0hms thd O.005% 500 VA transformer 80,000 mfd capacitance Sanken transistors , damping factor 230 at 40 Hz only 100 were built unfortunately never came on to the market as a faulty sample got a bad review. Do not care for any Doug Self designs. 20 year old class AB Prime Design A100 integrated amplifier!!!! – mfd capacitance Sanken transistors – Have you ever thought replacing some capacitors on your 20 year old Amp?. Yep; really great amps allright and pre amp i mono block and have never looked back into 4omes so 800 watts is more than powerful i think lol.Affortable price for great amps and most people do go on price when buying ; so the when it comes to price of these amps its a great optical illusion relating to the price of these amps to the brilliant sound they produce.The options they give you to other brands means their not one sided in their thinking.Great review theirs allways something i suppose in summary they could have done better; cant think of any lol; but someone out their will; but no one has ever brought out something everyone likes have they?lol; so A class amps. Nice review, very entertaining. Would like to see some measurements in the future.